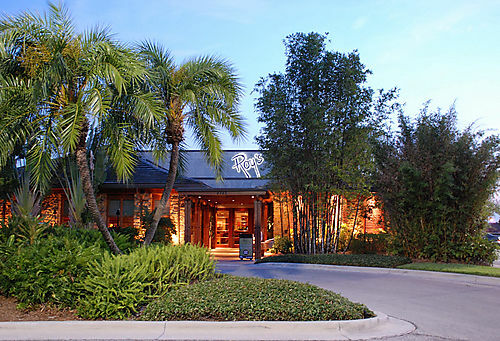 The next time you&apos;re in Tampa and you&apos;re trying to figure out where to eat or hold a small meeting, I highly recommend trying Roy&apos;s Restaurant. This Hawaiian-Fusion eatery is located in the heart of Tampa&apos;s Westhore District, close to Tampa International Airport, many full-service, brand-name hotels and the upscale International Plaza shopping center. I had the chance to visit Roy&apos;s a few weeks ago and I was extremely impressed! 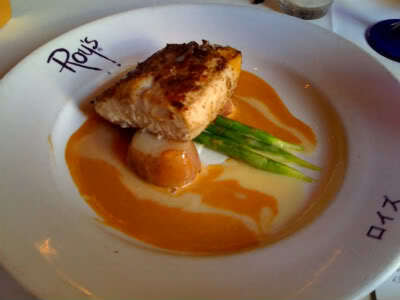 Not only was I not aware of how delicious their cuisine is (you have to try the roasted macadamia nut mahi mahi with lobster cognac butter sauce - O M G), but I also didn&apos;t realize that they have two private, soundproof dining rooms that can be used for board meetings or private receptions for up to 45 guests. Both rooms are equipped with audio/visual capabilities and can be set in any style to accommodate your event. If your party or event has more than 45 guests, you can rent out different sections of the restaurant to hold up to 80 guests, OR you can buy out the entire restaurant for even larger events. When planning a private event at Roy&apos;s, guests are able to create a customized menu to meet their specific budget and food needs. Roy&apos;s also offers full service, off-site catering, in case your event is being held at a different location. This restaurant has exactly what it takes to be the perfect event and off-site meeting venue for any convention. Take a look at the Web site for more information about space capacities and menu items or to book your next meeting at this fantastic dining facility.